Connecticut is often referred to as “the Provision State” and the nickname comes from the era of the American Revolution. During this time, Connecticut, the third smallest state, provided more food and cannons for Washington’s army than any other state. Its location between Boston and New York City was ideal for collecting, storing, and transporting goods. The pathways that were used by early traders in Connecticut became the trade routes during the war. When the British gained control of New York City, the Patriots lost their traditional trade routes, creating a need to reroute them through Connecticut. Connecticut was relatively untouched by the Revolution, with only a few major battles occurring within state lines. This allowed for manufacturers and farmers to keep producing as they had been. Many of Connecticut’s residents were farmers and their towns had communal meadowlands, crop lands and pastures. The number of livestock was reduced to a manageable number during the winter months and wool was used to produce clothing. There was a surplus of production in Connecticut, and when much of what was produced could no longer be sold to Great Britain and the Caribbean, Connecticut turned towards supplying for the war effort. The Revolution inspired an increase in manufacturing. One of the manufacturing hubs was located in Norwich. Christopher Leffingwell’s manufacturing is the reason for its expansion. Christopher Leffingwell was a well-known businessman in Connecticut, and not only that, he was an outspoken Patriot. He was connected throughout the war and commanded the 20th Regiment of the State Militia, where he was a Colonel. He was highly skilled at war strategy and became an advisor to Governor Trumbull. He was seen as such an asset to the effort that he developed a relationship with General Washington who would often reach out for counsel. Washington, who made several stops in Connecticut during the war, would stay in Norwich and Leffingwell would provide him with provisions. Connecticut provided the best prices and supplies on goods such that even John Hancock would often write to Leffingwell about goods. Christopher Leffingwell erected the first paper mill in Connecticut in 1766. It was located on the Yantic River in Norwich. The mill was erected to meet economic necessity, but it was not financially successful at the start and only proceeded to get worse. It required government aid to keep it running, which eventually ran out, causing the mill to close. 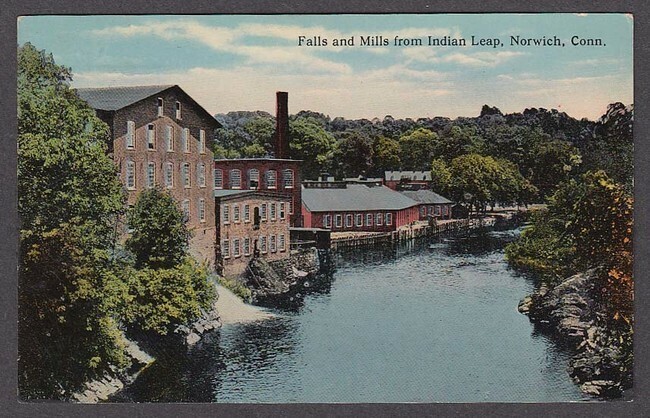 In the short period that it was open (1766-1772), the mill produced paper for wrapping, writing, printing, and sheathing and it was able to turn out 1300 reams per year. It employed ten to twelve people. Papermaking started early on in Connecticut, because the area had easy access to waterpower and had a publishing industry. Hartford was a regional center for printing, and the fourth largest in the country. The New London Gazette published on December 10, 1766 stated, “The paper on which this Gazette is printed was manufactured at Norwich…proof that this Colony can furnish itself with one very considerable article which has heretofore carried thousand of pounds out of it,” and a 1775 edition of The Connecticut Gazette about the battle of Lexington and Concord was printed using paper that came from the mill. 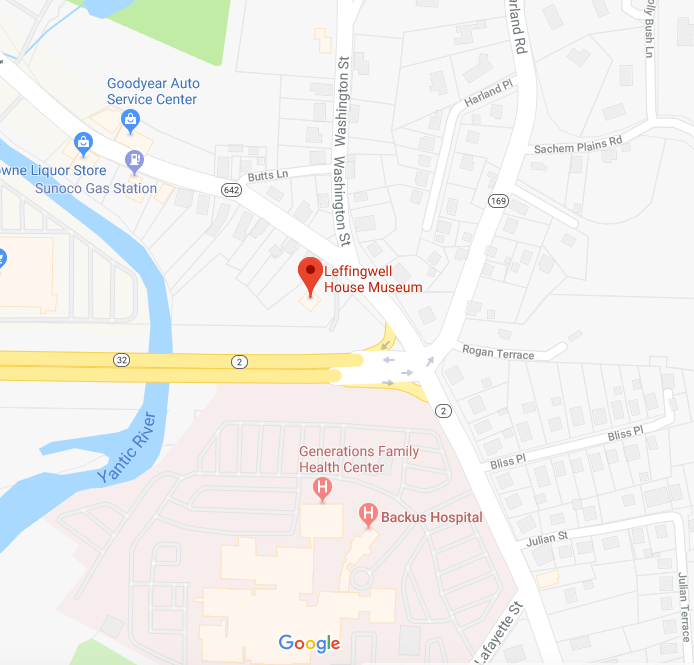 Along with running the paper mill, Leffingwell also had a chocolate factory, a felt-manufacturing plant, several fulling mills, a comb-making mill, a nail factory, a bookbindery, and a clock factory, all started between 1766 and 1774 and continuing through the Revolution. Caulkins, F. M. History of Norwich, Connecticut: From Its Settlement in 1660, to January 1845. Norwich: Thomas Robinson, 1845. Marshall, Benjamin Tinkham. A Modern History of New London County, Connecticut, Volume 1. New York: Lewis Historical Publishing Company, 1922. Leffingwell in Indiana in modern times. I am Mary Margaret Thresher and I am seeking information on the “Archival” writing paper my Leffingwell family made in Norwich , Ct. please contact me if you have any information about he “archivalpaper” my Leffingwell family made in Norwich, Ct. In modern times I sell “Archival Paper for U.S. Government records. Mary Margaret, thank you for your inquiry. As the editor of the blog, and not the author of the blogpost, I don’t have much information. The Letter Book of Christopher Leffingwell, 1764–1767, is in the Leffingwell Family Papers, Manuscripts and Archives, Sterling Library, Yale University, New Haven, CT. You may already know about this book, and I have not searched its contents thoroughly, but there is a description, “On 9 August 1766 Leffingwell noted in one of his letterbooks that Shaffer had obtained rags and a copper kettle ‘for the Paper Mill Which I am Building,’” followed by details: John Bidwell. American Paper Mills, 1690–1832: A Directory of the Paper Trade with Notes on Products, Watermarks, Distribution Methods, and Manufacturing Techniques. Hanover: Dartmouth College Press, 2012. https://muse.jhu.edu/. See pp. 171-195. I will see if the author of the post can provide more information.